A local political organization is trying to show people there are things they can do to keep their community safer from gun violence. The panel will focus on pursuing action to fight gun violence in Hillsborough County and will be moderated by Tampa Bay Times columnist Ernest Hooper. Topics of discussion will include suicide prevention, keeping children safe, and domestic violence initiatives. “There are things that every person can do in the community to help reduce gun violence and so that’s what our speakers are going to be focusing on,” said Nancy Granda, gun safety action committee chair for the League of Women Voters of Hillsborough County. The nonpartisan political organization tries to inform people about public policy issues, such as health care, education and the environment. According to its website, gun safety is not a Second Amendment issue; it’s a public safety issue. The organization said it would like to see a safer Florida through reforms to existing gun laws. “The League tries to balance Second Amendment rights with the public safety issue of gun violence,” said Granda. Specific policies supported by the group include banning assault weapons and strengthening background checks. It also promotes legislation to protect domestic violence victims and is against arming teachers. Speakers at the event will include Ben Friedman, Gun Safety Action Chair for the LWV of Florida; Clara A. Reynolds, President and CEO of the Crisis Center of Tampa Bay; Amanda Thalji-Raitano, PhD, Be SMART for Kids; and Andrew Warren, State Attorney for the 13th Judicial Court, Hillsborough County. The Hillsborough County Sheriff’s Office will also be there with trigger locks. The event takes place Thursday from 5:30 to 7:30 p.m. and is free and open to the public. It will be held at the Children's Board of Hillsborough County, 1002 E. Palm Ave., Tampa. Those interested in attending the event can RSVP to HotTopics@hclwv.org. 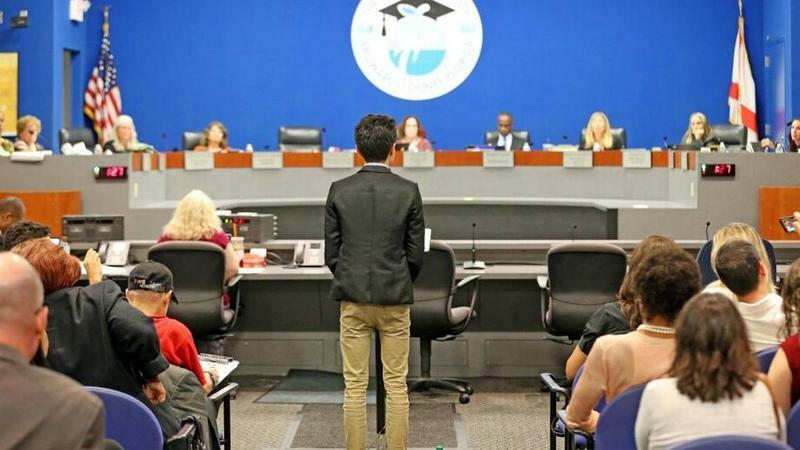 The Broward School Board unanimously voted Tuesday to reject the state’s new program to arm school staff in the wake of the Marjory Stoneman Douglas High shootings. This week on Florida Matters we'll hear highlights from a recent town hall on school violence. The Tampa Bay Association of Black Journalists hosted the event in Tampa's Seminole Heights in response to last month's school shooting in Parkland. 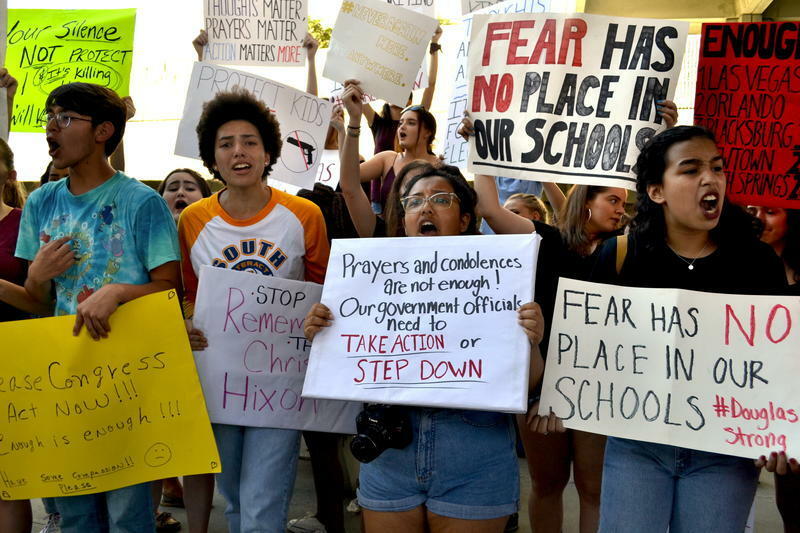 Floridians won’t have an opportunity to decide whether the state should ban semi-automatic weapons --- or to weigh in on other gun-related restrictions --- after the Constitution Revision Commission rejected attempts to debate the proposals Wednesday. A group of activists marked Gun Violence Prevention Day over the weekend with an annual speaking and voter registration event at The Portico in Downtown Tampa.